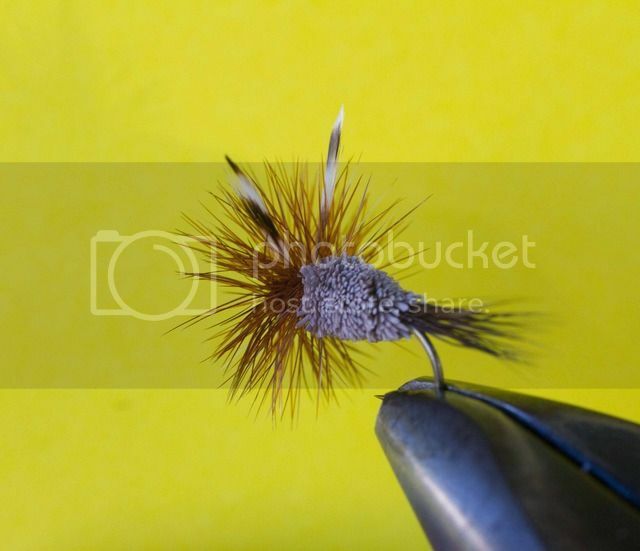 Parachute pattern tied on a Partridge SLD2. 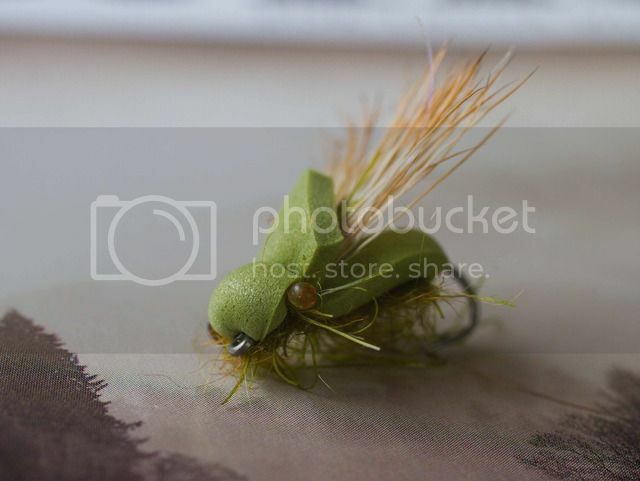 Foam Cicada tied with Doug Swisher Generation X-Treme dubbing on a long shank Partridge hook. 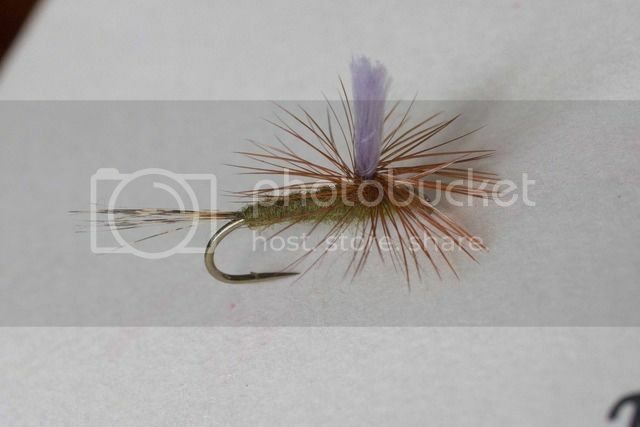 Adams Irresistible tied on a TMC 9300.